This course details statistical techniques at the interface between mathematical modeling via computer simulation, computer model meta-modeling (i.e., emulation/surrogate modeling), calibration of computer models to data from field experiments, and model-based sequential design and optimization under uncertainty (a.k.a. Bayesian Optimization). The treatment will include some of the historical methodology in the literature, and canonical examples, but will primarily concentrate on modern statistical methods, computation and implementation, as well as modern application/data type and size. The course will return at several junctures to real-word experiments coming from the physical and engineering sciences, such as studying the aeronautical dynamics of a rocket booster re-entering the atmosphere; modeling the drag on satellites in orbit; designing a hydrological remediation scheme for water sources threatened by underground contaminants; studying the formation of super-nova via radiative shock hydrodynamics. The course material will emphasize deriving and implementing methods over proving theoretical properties. • Fundamentals of DOX – randomization, replication, and blocking. • Planning for a designed experiment – type and size of design, factor selection, levels and ranges, response measurement, sample sizes. • Graphical and statistical approaches to DOX analysis. • Blocking to eliminate the impact of nuisance factors on experimental results. • Factorial experiments and interactions. • Fractional factorials – efficient and effective use of experimental resources. • A demonstration illustrating and comparing the effectiveness of different experimental design strategies. This course is focused on helping you and your organization make the most effective utilization of DOX. Software usage is fully integrated into the course. This course is designed to introduce participants to the R programming language and the R studio editor. R is a free and open-source software for summarizing data, creating visuals of data, and conducting statistical analyses. R can offer many advantages over programs such as Excel including faster computation, customized analyses, access to the latest statistical techniques, automation of tasks, and the ability to easily reproduce research. 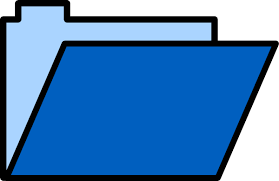 • Import/export data from/to external files. • Create and manipulate new variables. • Conduct basic statistical analyses (such as t-tests and linear regression). Participants should bring a laptop for the interactive components of the course. We use a combination of lectures and hands-on exercises using R. Students are expected to have R and associated packages installed on their computers. We will send a list of required packages before the course. We also use data from Department of Defense surveys, where appropriate.